Built in the typical Transylvanian style, Vila Borsec is 250 m from the ski slopes of Borsec and features rooms with cable TV, free Wi-Fi in the entire building, and a restaurant serving traditional Romanian cuisine. Wine tasting can be organised on request in the Vila Borsec’s wine cellar. Additional on-site services include massage treatments. 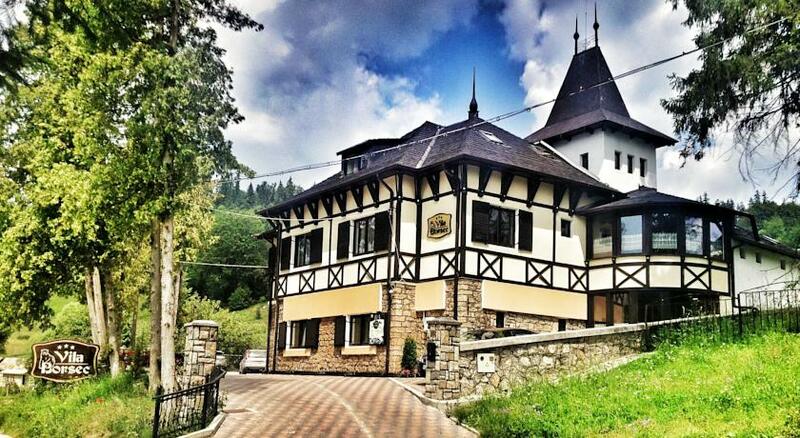 The mineral baths at the recreational area of Poiana Zanelor are reachable in 10 minutes on foot. Borsec Bus Station is 1.5 km away, while Toplita Train Station and Targu Mures Airport are 25 km and 130 km away respectively. Shuttle service from all three locations is offered at an additional cost.